is this establishment which from their point of view is called moksha. pure, then you are liberated. peace which is, from their point of view, liberation. is the object for you in this state. of repeated births and deaths. you possess paurusha jnana, you realize your nature of Self perfectly. is useless. Bauddha jnana will bear fruit only when paurusha jnana is present and not otherwise. slowly fading away so that in the end it does not remain at all. jnana is more important than paurusha jnana. not ultimately be successful in carrying you to that which you seek. We are an IRS recognized 501(c)(3) charitable, nonprofit organization and your donations are fully tax deductible (for US citizens). Chapter 1, Thirty-six Elements – Tattvas. 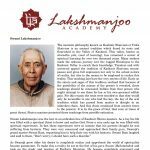 Chapter 4, The Theory of Reflection – Pratibimbavada. Chapter 5, The Explanation of Means – Upayas. 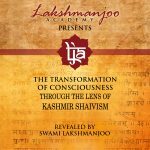 Chapter 14, Moksha in Kashmir Shaivism and Indian Philosophy. Chapter 16, The Seven States of Turya. 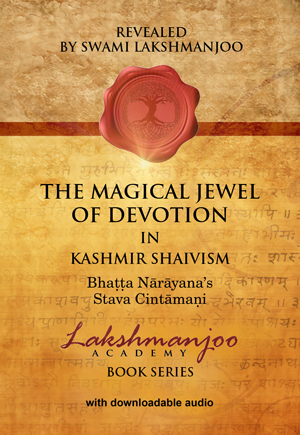 Chapter 19, The Schools of Kashmir Shaivism.